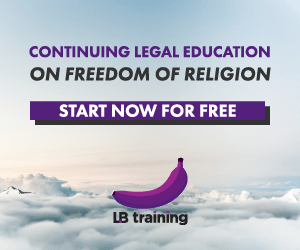 #LN4ROL – What’s it about, really? The LexisNexis Rule of Law Debate and Panel Session this 7 March 2013. Federal government flouting the law, court deciding legality of AES, and ‘bribes’ for votes. LN’s Inaugural Debate Competition – this year, on the ASEAN Declaration on Human Rights. Proud of them. Have a read! Why is Barisan Nasional against BERSIH 2.0 and what the Government should have done instead. These detentions under the EO and ISA raise serious questions, such as why action has not been taken under the Penal Code and the Anti-Trafficking in Persons and Anti-Smuggling of Migrants Act 2007. Instead, the authorities have chosen to rely on preventive detention legislation that is devoid of any proper regard and safeguards for human rights. The EO and the ISA are convenient tools for the police, as their use means that no evidence need be produced in a court of law to support the police’s allegations. This entirely sidesteps adherence to the due process of the law. The indomitable spirit of the Rakyat must not be broken. LoyarBurok invites you to Remember, Review & Reclaim on Sunday, 12.12 @ The Annexe Gallery at the “Perak State of Crisis” book launch by the Rakyat’s Perak Menteri Besar, Nizar Jamaluddin. If the ASEAN Inter-govermental Commission on Human Rights (AICHR) lives up to the mark of the European Court of Human Rights or to a lesser extent the Inter-American Commission of Human Rights, it will be the most curious thing I ever saw in my life! How can you defend a criminal ah? A “simple” explanation, but with some long words, as to why a lawyer defends the guilty. An examination of the constitutional validity of Section 54 of Enakmen Kesalahan Syariah (Negeri Melaka) 1991. Loyarburok strongly believes that it is unhealthy to force lawyers to wait too long for the hearing or mentions simply because it may at some point force them to think, or worse think critically. 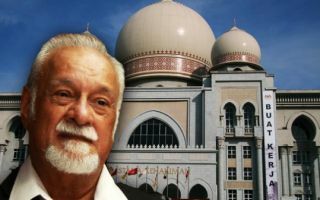 Encik Fahri Azzat who was recently in the Penang High Court for a winding up hearing was afflicted with both these sorry diseases after approximately 2 1/2 hours of sitting down and listening to other cases being disposed of. You may read the thoughts the wait provoked here.